A Kremlin spokesperson swiftly dismissed the protesters’ concerns as a “misconception,” and claimed internet freedom was safe. But then, this week, President Putin signed two laws restricting online speech: one imposed fines on fake news and the other prohibited “disrespect for authorities and state symbols.” Both are seen as censorious. In other words, Russia’s government is tightening its control over the internet. And in this push, Russia is not alone. Russia and a set of less-than-democratic countries like China, Saudi Arabia, and Iran have certain aspirations for the internet. Domestically, these countries want control and think governments should get to decide what information flows across their borders. Globally, they want governments, not companies and NGOs, to be in charge of the internet. The vision of effective cyber-sovereignty is expanding to new horizons. A November report from Freedom House examined 65 countries and found since the previous year that internet freedom declined in 26 of them. Chinese-style “digital authoritarianism,” meanwhile, is growing in influence as China exports both its surveillance known-how and technology. And even Western democracies, once more-or-less committed to the open internet, are increasingly mirroring cyber-sovereignty talking points. The Chinese model wasn’t always on the rise. Just six years ago, cyber-sovereignty was dealt a major setback when China and its allies tried to stage a “takeover of the internet.” At a 2012 meeting of the International Telecommunications Union, Russia, China, and a group of countries tried to pass a mostly symbolic resolution, one that would have endorsed certain cyber-sovereignty principles and given the United Nations greater power over the internet. But large tech companies and the U.S. Congress made strong statements condemning the move, and the U.S. and European countries refused to sign. Without their signatures, the effort failed to move the needle in favor of cyber-sovereignty. Had it succeeded, China and its digital policy allies would have helped resolve a longtime problem for authoritarian regimes, which is that nobody is quite in charge of the internet. In its allocation of power, the web pays no particular respect to the nation-state; governments administer the internet together with companies, NGOs, academics, and other parties, an arrangement that severely curtails the influence of states. For example, the Chinese government has taken its embarrassing cybersecurity anthem off the internet, but copies remain online. These copies are stored on websites registered by ICANN, the international organization of domain names. If governments like China had power over this organization, they could make these websites disappear entirely. For advocates of internet freedom, this is the nightmare scenario. “If [governments] are in charge of this organization, then they would definitely think about ‘How can I regulate content at the global level and take websites down?’” said Ferzaneh Badiei, an internet governance researcher at the Georgia Institute of Technology. For cyber-sovereignty advocates, on the other hand, giving governments final say over the global internet is the ultimate goal. Accordingly, rather than relying on international treaties, China has begun exporting its internet censorship regime to other countries, changing the internet from the bottom up. 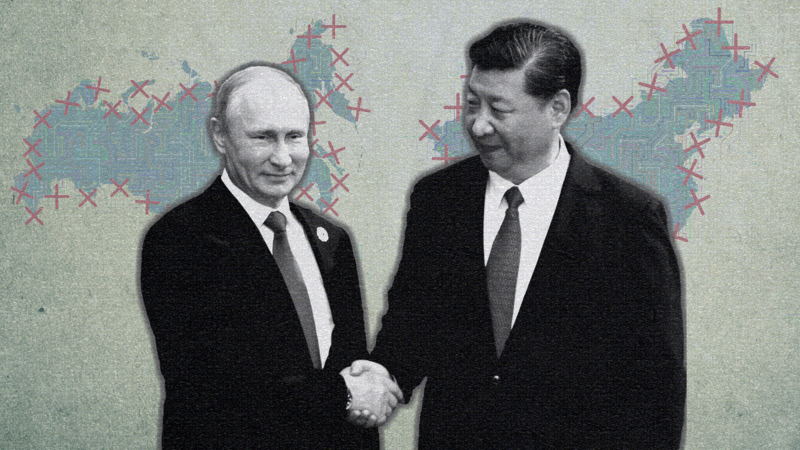 According to Freedom House, at least 36 governments have received closed-door Chinese trainings on “new media and information management.” These include Jordan, Egypt, Saudi Arabia, and Vietnam. The content of these trainings is unknown, but after Vietnamese officials were trained in 2017, Vietnam passed Chinese-style cyber legislation, in 2018. There is also evidence that some countries, like Uganda, have used Chinese-made software to monitor their local internets, ostensibly to fight crime. This evangelism helps legitimize China’s authoritarian internet approach, solidifying its approach to governance. This puts numbers on something analysts had already suggested: Chinese- and Russian-style paranoia about unrestricted online discourse is beginning to resonate in the West. In his 2017 book The Darkening Web, cyber policy expert Alexander Klimburg writes that “the ability to define information as a weapon is the ultimate goal” of cyber-sovereignty advocates. Because if information is a weapon, censorship is a legitimate matter of national security. As a side effect of Russian interference in the 2016 U.S. election, this effort has mostly succeeded. Digital information warfare is now a hot topic, and a legible threat, among Western elites. This was evident when Hillary Clinton described Russian hacking in 2016 as a “cyber 9/11,” or when Robert Mueller began to indict Russian citizens for crimes adjacent to internet trolling. In this atmosphere, some Western democracies are, like their authoritarian peers, seeking more control. In a speech at 2018’s Inter-Governmental Forum for internet governance in Paris, an institution that has generally respected the limited role of governments in the internet, French President Emmanuel Macron, who faced an email hack in the final days of his presidential campaign, painted cyberspace as a dangerous realm. “Today, when I look at our democracies, the Internet is much better used by those on the extremes,” Macron said to a packed room. “It is used more for hate speech or dissemination of terrorist content than by many others.” He then appeared to call for a government-led crackdown on the internet’s worst tendencies. This is not to say that Macron has been won over by Chinese propaganda. Kieron O’Hara, a computer science professor and expert on internet governance, says Western democracies are merely converging with China and Russia on common fears. This leads to a shared affinity for something like an “authoritarian internet” model.